Up at dawn, awakened by dogs shaking collars, the signal for wanting out, I got the message and obeyed. While they were outside per their request, my lovely wife was still asleep, and I dutifully started the coffee. Then, a model of efficiency, as coffee brewed, I fed the dogs on the deck and even ventured barefoot to the woodpile. I started a fire in the wood-burning stove, which I especially like because it has glass doors in front for viewing the flames. The front room was still half-dark, the light half illuminated by the fire, the orange dawn in east windows, and the tree. There is something about a Christmas tree’s lights in combination with the burning logs for a cozy Christmas feeling. I let the dogs back inside and poured a cup of coffee. The three of us went to the loveseat in front of the fire. 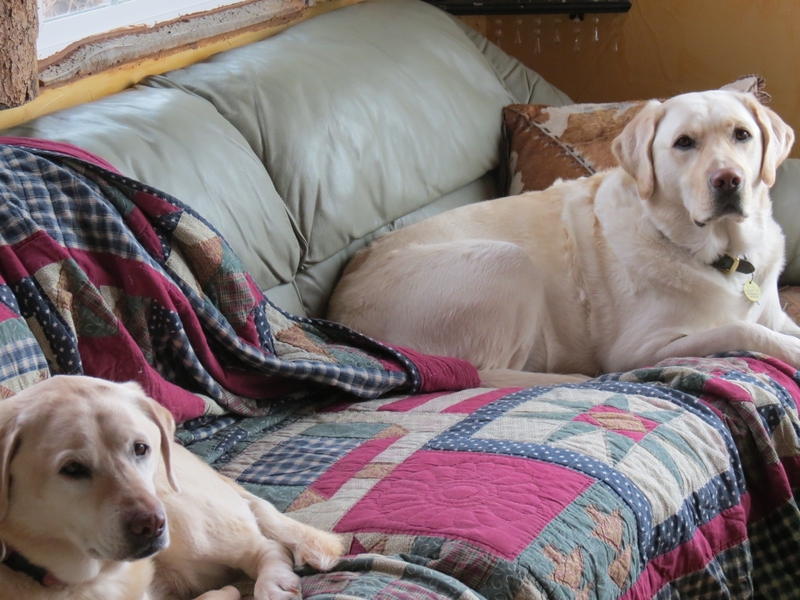 As I sipped my coffee, one Yellow Lab laid next to me on the loveseat while the other laid at my feet. In this quiet time, my mind recalled memories of other Christmases, and the people who share particular memories of them. The sleeping lady upstairs is of course one of those people and will share this Christmas with me too, for which I am glad. Other people are far away today, in other places, including Heaven. My earthly father art there now, greatly missed here. This pleasant experience in this place on this Christmas morning has now become another Christmas memory. Your post makes me think that I often move too fast from anticipation to memories, not taking enough time for the moment. Thanks for this beautifully poetic reminder. Merry Christmas to you and your wife. Thanks, Heidi, for your kind words. Thanks for reading my stuff. And Merry Christmas to you too. It is great to have pleasant memories of Christmas. 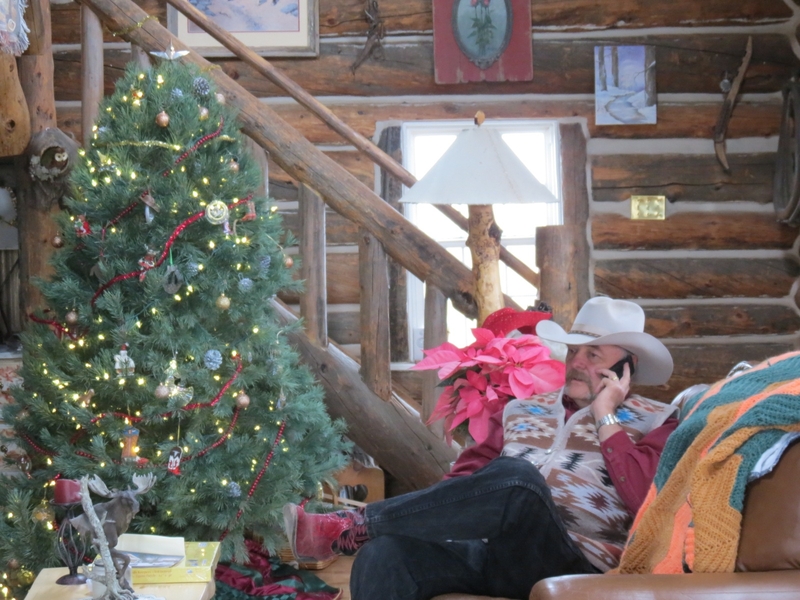 Christmas holds so many memories…thanks for sharing. Thanks, Joan. I hope that you and Ron had a beautiful Christmas yesterday. Hey, I have not seen Ron’s annual letter. Thanks for sharing this savored moment! Sounds as though you begin each day with counting your blessingsâblessings to you both! Headed to east coast in the early a.m. (shuttle departs at 3:20). Letâs plan a get together after the 12th. Have a nice visit back East. See you when you return. Thanks for the reblog, Kenny. I appreciate it. Sounds as though you and my human are a lot alike. You’re both smart enough to know the slow lane is the best way to enjoy the more important moments of life. Slow lane now, but many of my favorite Christmas memories are of my children squealing with delight on Christmas morning.